Advance Packaging & Adhesives LLC is best manufacturer and supplier of Canvas Duct Coat [ 30 – 36 ] all over UAE including Abu Dhabi–AUH, Ajman – AJM, Sharjah – SHJ, Dubai – DXB, Fujairah – FUJ, Ras Al Khaimah – RAK, Umm Al Quwain – UAQ. 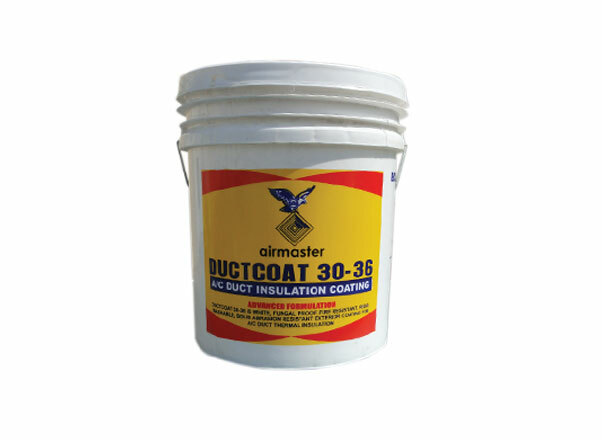 Canvas Duct coat 30-36 coating provides a protective finish for insulation on pre fabricated Air Conditioning Ducts and cold water piping when applied in 2 coats with reinforcing cotton fabric embedded between coats. when relative humidity exceeds 75% for continuous periods, or where the insulated piping or equipment contains chilled water, brine or refrigerent, additional vapor barrier protection is suggested. Available with Gray & White colour. Canvas Duct coat 30-36 is a one-component HVAC Canvas Coating with tough and flexible adhesive and sealant which makes a durable seal for air leakage. Due to its excellent water and UV abrasion-resistance, it can be used in outdoors as well as indoors in thermal insulation system on ducting accessories.